Due to "ongoing investigation into alleged misconduct." It&apos;s been a rocky road for Dov Charney and American Apparel over the last few years: Aside from multiple accusations of sexual harassment against Charney and a handful of controversy-causing ad campaigns, 2013 showed abysmal earnings and falling share prices following an attempt to financially restructure. Now, it seems that the company has decided to take extreme measures, and on Wednesday night, it was announced that the Board of Directors of American Apparel has voted to replace Dov Charney as CEO of the brand. The decision is effective following a 30-day cure period, but Charney is currently suspended from his positions of President and CEO. 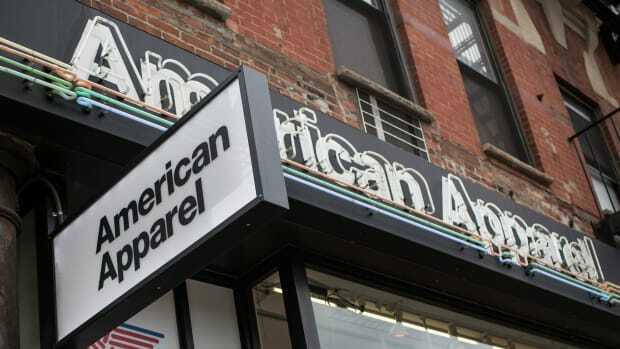 In the interim, John Luttrell — American Apparel&apos;s Executive Vice President and CFO who has been with the company since 2011 — will serve as CEO, as voted on by the Board. A press release from American Apparel concerning the situation states that "the Board&apos;s decision to replace Mr. Charney grew out of an ongoing investigation into alleged misconduct," but the allegations against him are not explicitly named. According to a source for the Los Angeles Times, Charney is expected to "fight like hell" to get control of the company he founded back, though it&apos;s unlikely he&apos;ll succeed. The brand — which currently boasts 10,000 employees and 249 retail stores in 20 countries — said in the release that it will stay committed to the sweatshop-free and "Made in USA" production policies that Charney helped to instate, and the Board is currently searching for candidates to fill the permanent CEO position. This might actually be worse than we thought. The suspended CEO says that the company is staging a “hateful” campaign against him, and he's ready to fight.